In 2011 Dr. Joo established his group at Delft University of Technology in the Netherlands. Recently his group published a research article, "A Dynamic Search Process Underlies MicroRNA Targeting" in Cell. MicroRNAs are small regulatory molecules with essential functions in many different physiological processes. MicroRNA molecules are guided in the cell by Argonaute proteins. By monitoring Argonaute-microRNA in real time, his group showed that Argonaute identifies targets using a mechanism analogous to computational string search. Argonaute rapidly scans potential targets using one-dimensional diffusion. During this process, Argonaute probes a target using only a small region of microRNA. They used single-molecule FRET (Forster Resonance Energy Transfer) spectroscopy to visualize how human Argonaute proteins searches for and identifies target sites. 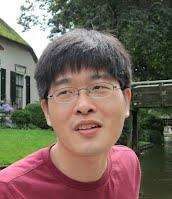 Dr. Chirlmin Joo received his doctorate from the University of Illinois in physics in 2007. His research was conducted under the supervision of Dr. Taekjip Ha.